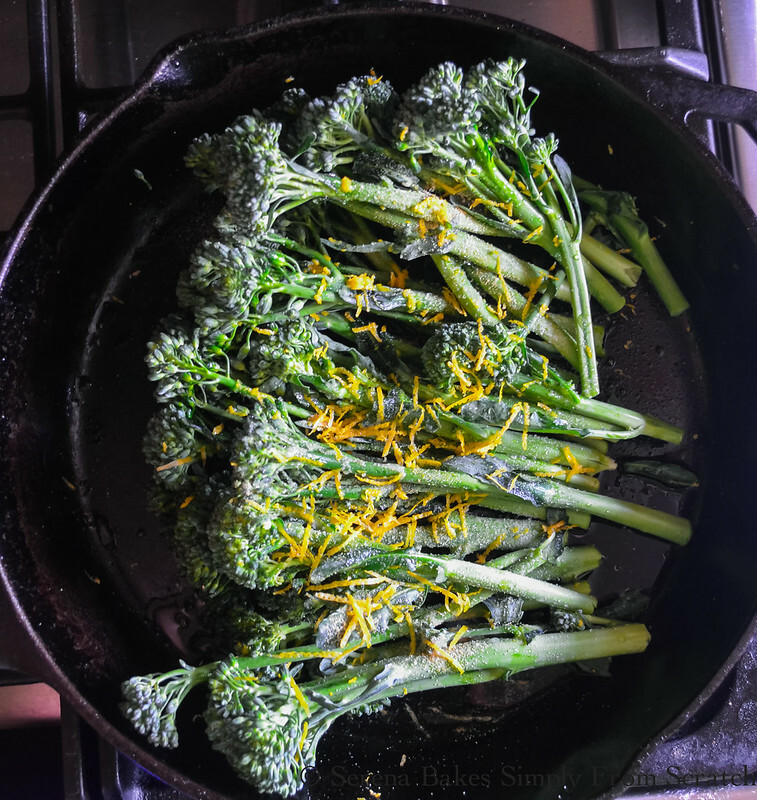 I promised you yesterday a quick easy veggie to accompany our Quick Herbed Panko Baked Shrimp done in under 30 minutes and this is it Oven Roasted Broccoli or Broccolini. 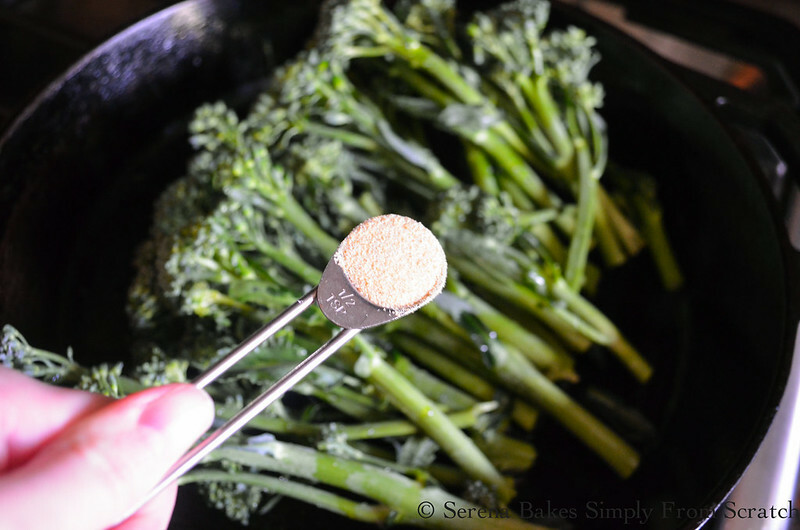 It's so easy and the broccoli comes out perfectly al dente every time. If you happen to be making yesterdays Quick Herbed Panko Baked Shrimp the broccoli goes in the oven at the same time as the shrimp for a perfectly timed meal. Between the kids in basketball, our dishwasher deciding to stop working a little over 2 weeks ago and my back being totally unpredictable we've been trying to keep dinner low key, yet full of flavor. Plus now the less dishes the better. I haven't washed so many dishes since I was working at a catering business in High School. I don't get how 90 percent of our cups are getting washed daily when we are only a household of 5, not 30.. I'm starting to wonder if we have leprechauns hidden in our house who can't use the same cup more then once. Every time I bring it up to the kids they promise me up and down it's not any of them and they are using the same cup..
One of these day's I'll catch whoever it is and put them on drying duty. But the worst part of the whole thing is the kids don't understand what it entails to hand wash the dishes. They rinse them off like it's going into the dishwasher and place it into the dish drying rack. I've got germ issues and this does not work for me.. I've had to explain a million times over that you need to rinse the dishes off, stack them to the side, fill the sink with hot soapy water, scrub the dishes really well and then rinse under hot water. I hope this isn't some test of my patience because I'm pretty sure I've failed. Now that I've vented we better get back to the good stuff. This recipe works the same for broccoli or broccolini. 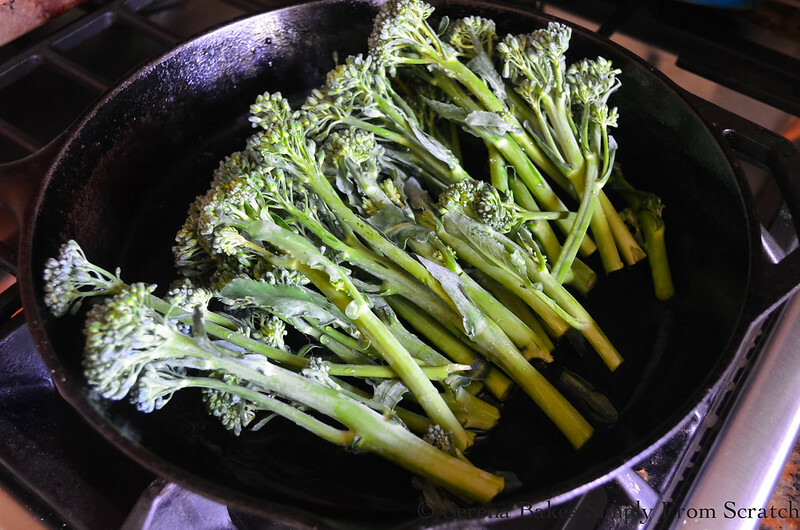 Wash you broccoli well and trim into long spears like the broccolini. Drizzle with a tablespoon of olive oil. Add a 1/2 teaspoon granulated garlic and salt. Sometimes we use 1-2 cloves fresh garlic minced instead of the granulated garlic, it gives the broccoli a little bite. Add the zest of 1 lemon and use your hands to coat broccolini evenly. Spread on a baking sheet or cast iron pan and bake in a 425 degree oven for 12-15 minutes until lightly brown and tender. 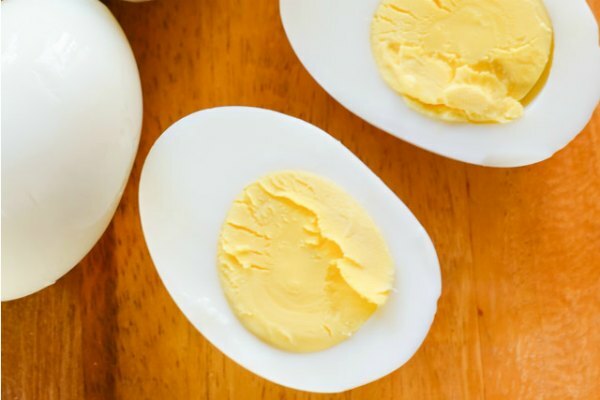 Squeeze fresh lemon juice over the top and serve immediately. 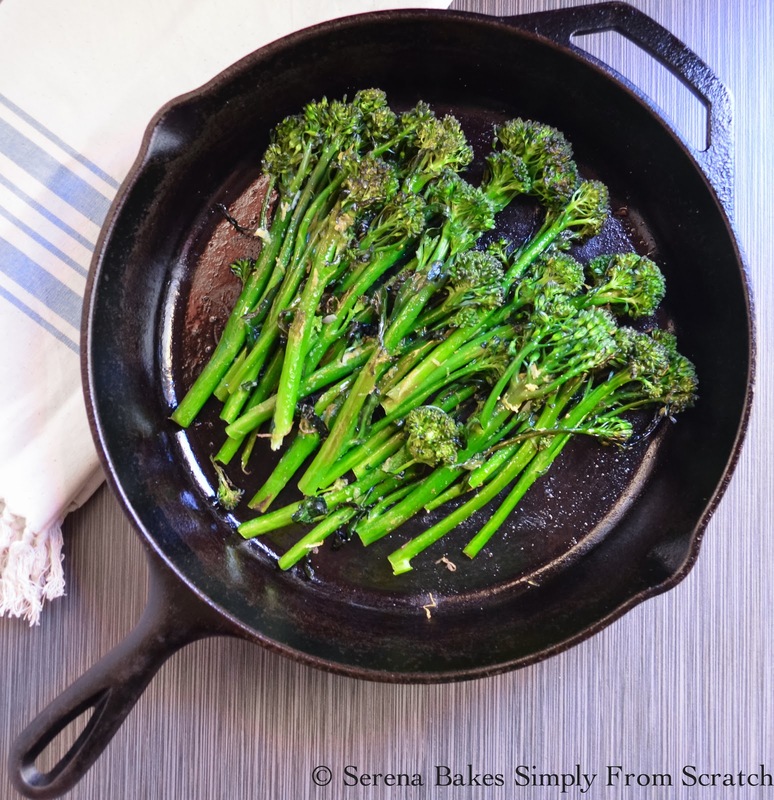 Easy no fail oven roasted broccoli or broccolini. 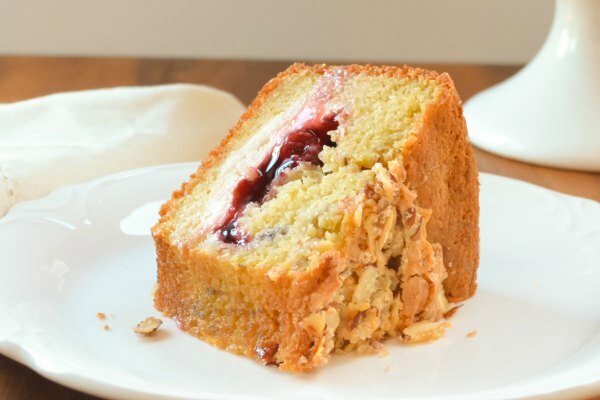 Recipe includes step by step instructions with photos. 1 pound Broccolini, Washed and cut into long spears. 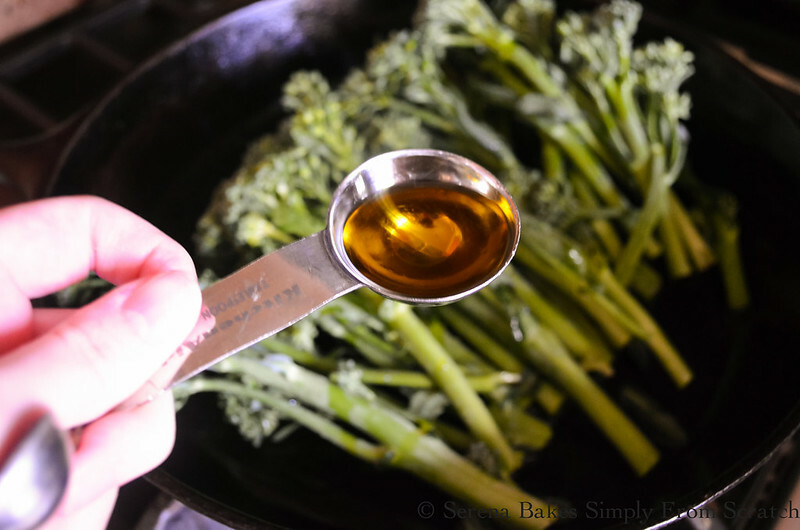 Toss broccolini with olive oil, garlic, sea salt and lemon zest until evenly coated. Spread evenly on a baking sheet and cook for 12-15 minutes or until tender and just barely brown. 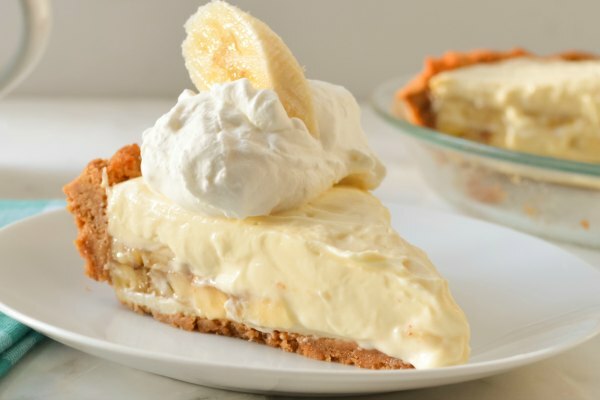 Drizzle with lemon juice and serve immediately. Oh Stacy, It's so difficult to have to be on restrictions. Your in my thoughts, I hope you feel better soon.